Foley, AL — Stephen Billings of AR wasn’t kidding when he waved goodbye a month ago exclaiming, “I’ll see you soon!” We had no idea he would return within one month of his previous visit introducing new guests. 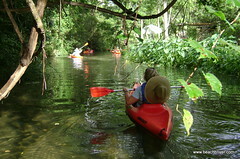 On Billings’ first visit June 3, 2011 he brought members of a Christian Youth Group from Kansas to spend the afternoon paddling the Bon Secour River. When he made the appointment he mentioned he had visited BeachnRiver Kayak Rentals last year and anticipated this year’s visit. 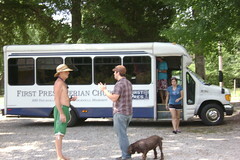 Upon his second visit Stephen Billings brings members of his Church “Student Mobilization” Group. 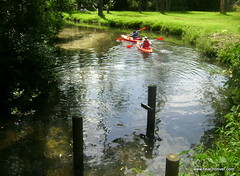 The all male group come prepared to enjoy an afternoon kayaking, fishing with their ultra and microlight fishing poles. They also plan to swim in the cool, refreshing Bon Secour water. Upon leaving Billings says once again, “I’ll see you real soon!” “River Rick” and “Beachin’ Betty” say they better get a locker with Billings’ name on it if he returns anytime soon! 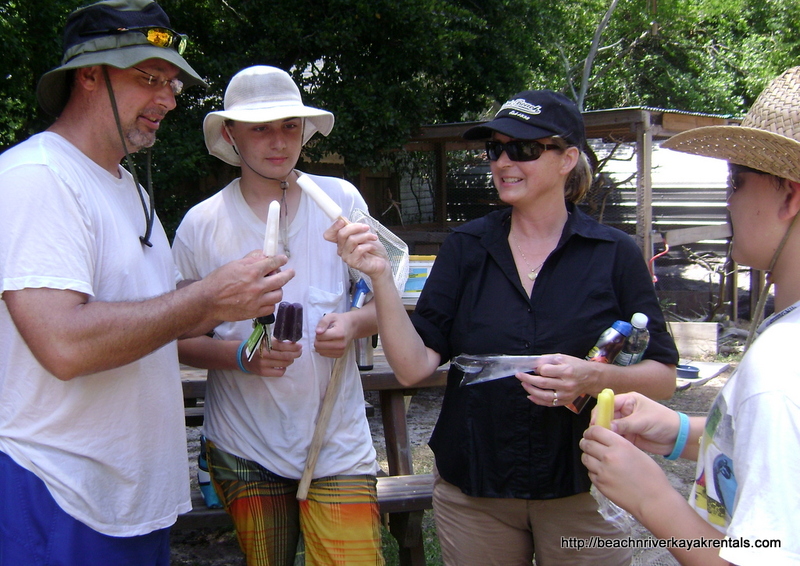 The Hughs Family Returns Prepared For A Kayaking Adventure With BeachnRiver Kayak Rentals Of Foley, AL. The Steven Hughes family have a different story to tell. 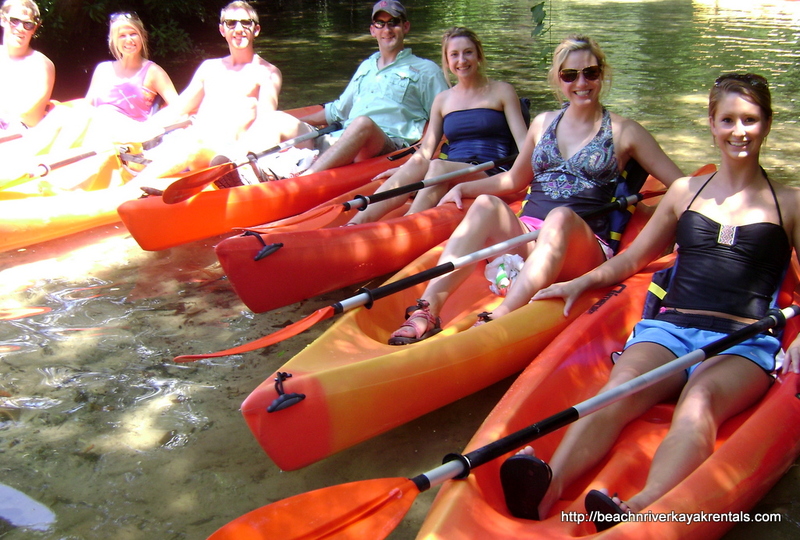 Their initial kayaking visit to BeachnRiver Kayak Rentals didn’t go so well. The spur of the moment kayak trip meant they had no hats and the groceries they had just purchased for snacks to eat on the river were left behind at the store. The Hughes were good sports and paddled anyway. They said they enjoyed the experience but were pretty worn out upon their return. They also said they enjoyed their visit and hoped to return soon. 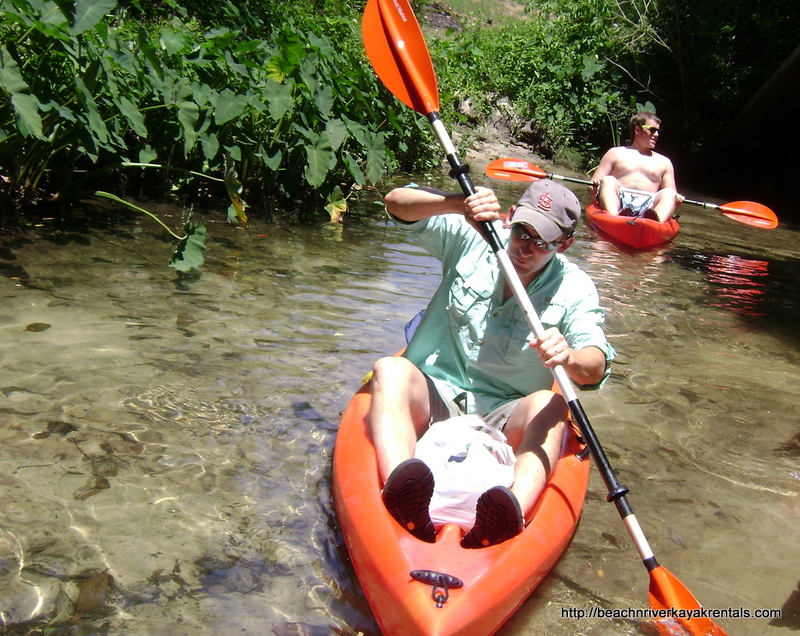 The Hughes family, Steven, Missy and sons return today each wearing a floppy hat and their coolers are filled with drinks and snacks and small enough to fit inside each kayak. Missy proudly announces, “this time we are prepared!” The family kayaks the entire four hours and takes the opportunity to swim in the swimming hole before returning to the launch site. 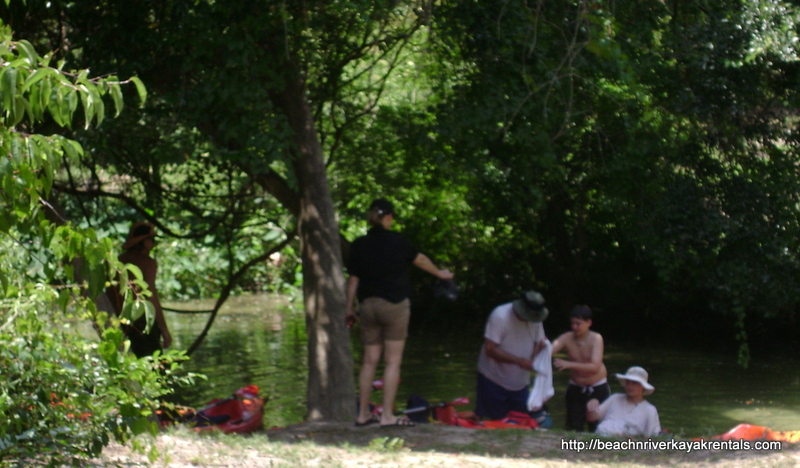 “River Rick” and “Beachin’ Betty” cannot believe that on this day Saturday, June 18, 2011 two separate groups return to kayak within days of their initial visit to BeachnRiver Kayak Rentals and both groups’ leaders are named Steve. 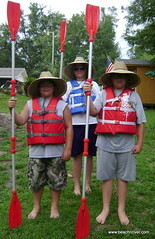 This entry was posted in Kayakers 2011 and tagged Church Youth Group, Repeat Guests, Stephen Billings, Steve and Missy Hughes Family. Bookmark the permalink.